Yoga Prana Vidya Level On. . .
What is Yoga Prana Vidya? Prana vidya is energy based healing system that uses prana to heal the body. It can heal physical, emotional & mental diseases. It focuses on energy centers (Chakras) of the body. The treatment given is specific to the condition of the patient. What we learn in the workshop? -Healing disease by using energy without physical touch. Pooja is a disciple of Holy Master Choa Kok Sui and the founder of The Healing Power within. Inspired to heal people in her teenage years, she commenced her centre to promote and teach Yoga Prana Vidya Healing in India in 2011. She has been committed to helping people connecting with their higher nature to live a balanced life since 2011. She has spent one year in Sri Ramana Trust Ashram, Tamil Nadu for Higher Spiritual Practice. The Teachings has uplifted and harmonized her life. 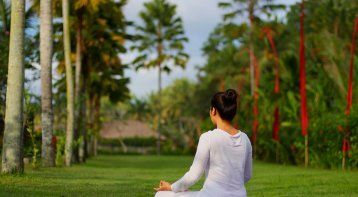 She provides complimentary health information and energy treatment as well as the broad spectrum of spiritual practices that include the various form of yoga, meditation and esoteric teachings that lead one to rapid personal growth, self-awareness and spirituality. Yoga Prana Vidya Healing Level One Works. . .
Peace and Prosperity Meditation Everyday. . . Please call our expert, Dr. Sangeeta Kapoor, on 9811023459. Please note that our experts accept calls between 10 a.m and 7 p.m only.